Our summer shows have three weeks of rehearsals under their belts and opening is less than three weeks away. Huzzah! We’re jazzed about our production of The Comedy of Errors. 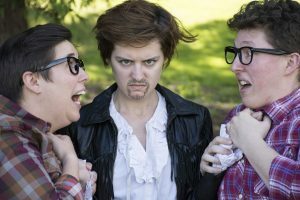 We always say that Shakespeare’s plays are as relevant to us today as they were when they were first performed four centuries ago, and The Comedy of Errors is a perfect case in point. 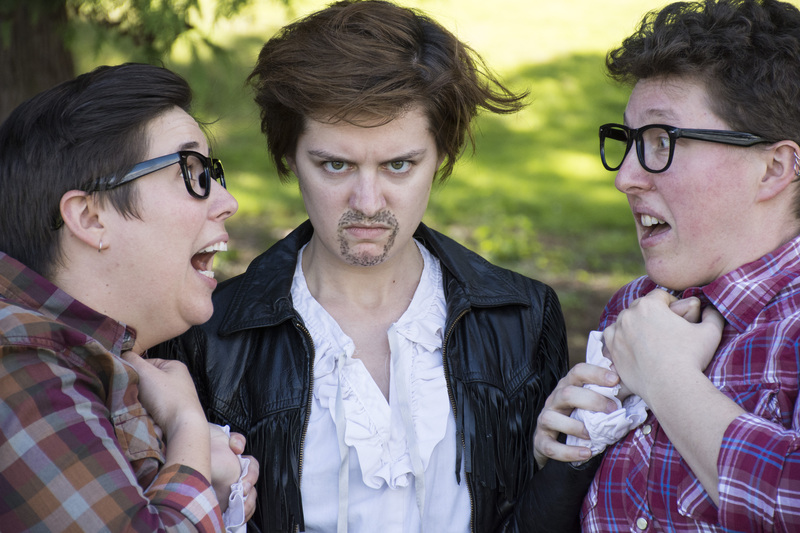 A recent article in the Los Angeles Times notes that GreenStage isn’t the only theater company to see a modern-day connection with the Bard’s works. At left are MJ Jurgensen, Meghan Dolbey, and Anne Wiltgen from the cast of Comedy, directed by David Gassner. Don’t miss this one!